Hope you all are having a good week so far, here is a mid-week pick-me-up if you need one! My week has been busy at work as usual with a long weekend approaching we have a road trip to lovely – Cornwall planned with friends that I’m really looking forward to! 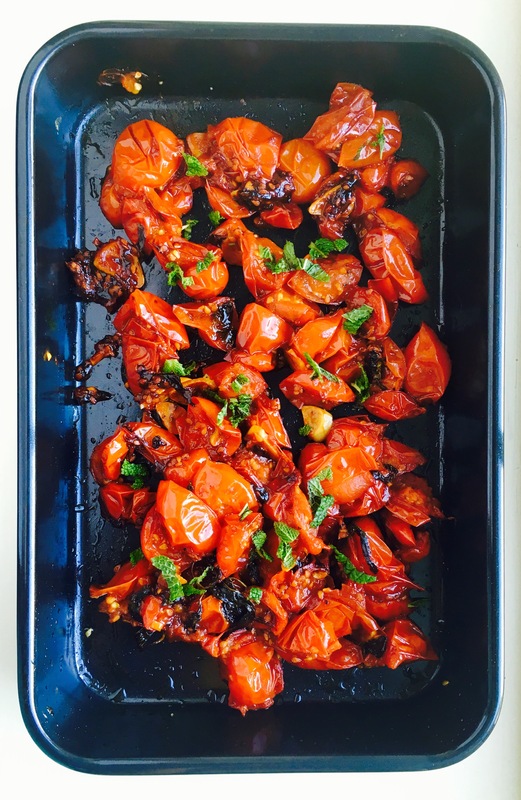 I normally tend to roast a large batch of cherry tomatoes and store in the fridge for the week to add into wraps, sandwiches, toasts or just to simply eat on its own ! 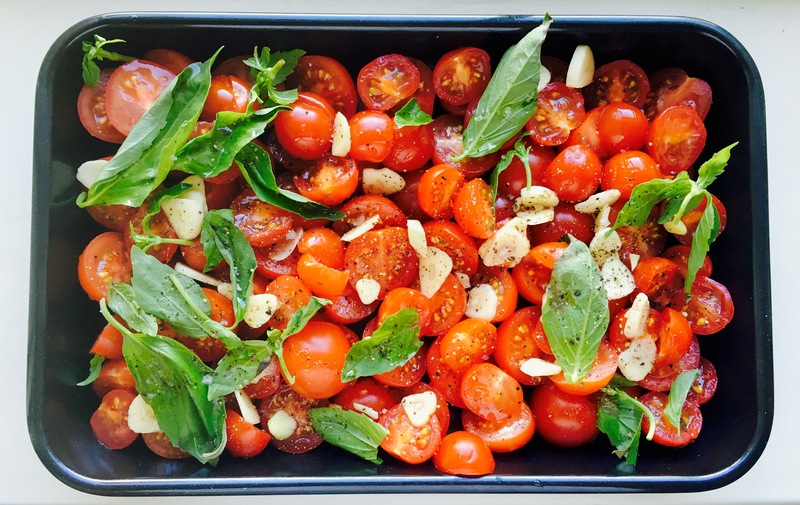 Bake for an hour, once done remove and finally add in finely chopped fresh mint on top of the hot roasted tomatoes – Voilà! This looks delicious! The colours are so bright and vibrant — perfect for the summer! Thank you! I’m glad you like it, yep very true, just right for summer!